Home » Answers to Common Questions » What Are the Top Casinos in California? Out of all the places to gamble in the United States, none provide more options than California. Boasting an impressive 174 casinos, California has the most casinos of any American state. While this may come as a surprise to some, this is far from shocking news to serious punters. Over the years California’s wide selection of casinos has made it a haven for tourists and competitive gamblers alike. In total their casinos offer 89,155 pokies machines and 3,424 table games. This staggering amount of options makes California one of the best places to gamble in the world. California’s surprisingly large collection of casinos makes it a welcome alternative to Las Vegas. Instead of plunging visitors into known tourist traps, Californian casinos provide a luxurious escape from the routine. From tucked away venues to all inclusive resorts, the casinos found in this state are second to none. They receive little to no international promotions, which helps them avoid the saturation of Sin City. Despite being relatively obscure, California’s casinos receive rave reviews from punters who are relieved to find a tangible escape from Las Vegas and Atlantic City. These casinos provide a welcome mixture of intimacy and luxury, which makes them impossible for any responsible punter to ignore. To showcase what’s available, we compiled a list of the best casinos in California. These venues captivate thousands of tourists while still managing to preserve their original charm. There’s no better excuse to visit California, so indulge in this state’s luxurious side by exploring their top casinos! Enjoy a classy escape in the middle of wine country. 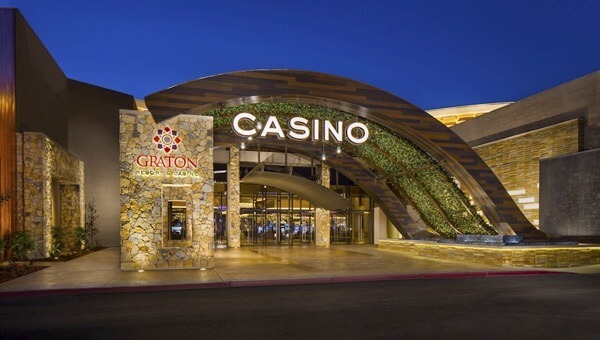 Casino #3: Graton Resort & Casino – Out of all the up and coming casinos, this venue steals the show. Tucked away in Rohnert Park, this venue gives visitors a luxurious look at the heart of the Sonoma wine country. While the surrounding vineyards are breathtaking, their massive amount of gaming options make a lasting impression. This casino’s 300,000 square foot game floor is absolutely packed with 3,000 pokies machines and 144 gaming tables. All these games are complimented by a staggering amount of amenities. In total there are 4 full service restaurants, 3 lounges and ten casual dining options. A bold expansion plan at another $800 million property will bring a 200 room hotel into the mix. This sprawling casino is only a half hour outside the Bay Area, so don’t miss out on the action! This venue just underwent a major renovation. Casino #2: Thunder Valley Casino – When it comes to high-end entertainment, punters are hard-pressed to find a more modern venue in Northern California. 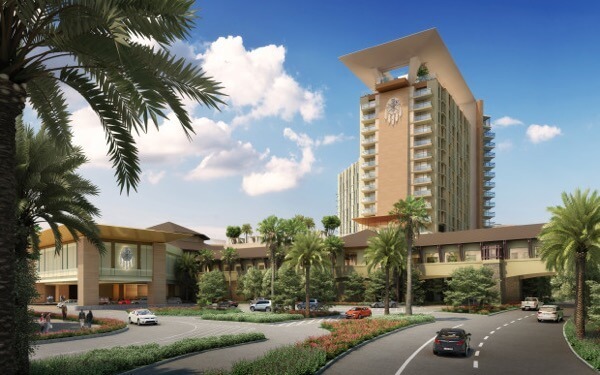 This is due to the fact that this Sacramento casino resort recently underwent a $56 million renovation. From 5 star hotels to an exotic Coconut Pool, it’s easy to get enchanted by this establishment. Their casino floor is equally robust, since they offer 3,100 pokies machines and 114 table games. This casino sports a 24-hour café, nightclub & live DJ’s on weekends, so there are plenty of reasons to spend the night! This casino dominates California’s gambling industry. Casino #1: San Miguel Casino – This larger than life casino has enough options to captivate the most jaded punter. Offering a staggering 4,800 pokies machines and 130 table games, their gaming selection can’t be beaten. Between their conference area and game floor, visitors get access to a half million square feet of entertainment space. The best part is, this casino is only an hour outside downtown LA. 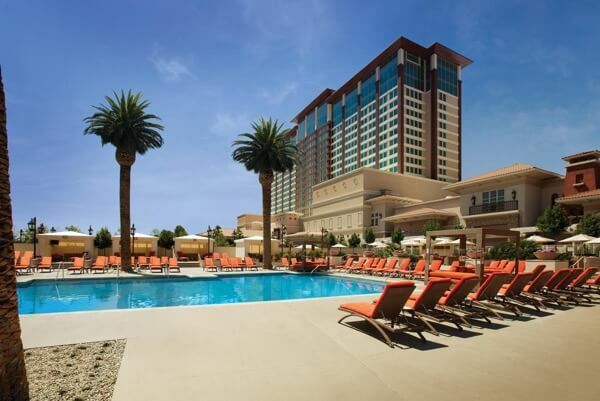 San Miguel is easily the largest casino in California, and it’s definitely worth the visit. Experience the embodiment of California’s thriving casino industry! What Are 2016’s Best Android Casino Apps?